Slots Magic Casino is an online casino including mobile and live dealer games, established in 2009 using games powered by multiple software providers. It is operated by Skill On Net Ltd. Casinos and is licensed under the jurisdictions of Malta, Sweden, and United Kingdom. SlotsMagic’s diverse collection of online casino games are played on your PC by downloading the software, using up very little space. Or, played through your browser with an ace-performing instant play platform and issue-free compatibility. There are 100 mobile games available for electronic devices providing thrilling play-on-the-go. With a vast offering of slots, Jackpot Party was acquired by EGaming in 2014 and rebranded as SlotsMagic. Games are offered in twenty-two different languages and played in nine different currencies from around the world. After rebranding, SlotsMagic invested monumental amounts of time and money to become the state-of-the-art online casino it is today. The current site is home to what players call the best online slots for generous life-changing progressive jackpot prizes. Only Las Vegas land-based casinos offer slot jackpot prizes in the millions. SlotsMagic’s elite collection of Vegas-style games include Mega Moolah, Fun Fair Ride and Cosmic Fortune. Overall, the online casino has an impressive library of over 700 superior slot games from the best gaming providers in the industry. The Daily Picks sector has no less than two offers every single month. The Daily Picks include extra bonuses, cashback deals, and plenty of chances to win extra cash at Blackjack and Roulette. Other opportunities include money-back just to play and chances for extra VIP Points. Bookmark this site and sign up for emails to receive news on some of the most outstanding contests in online casinos. Read about new opportunities to increase winnings, new features for enjoyable play, and wild and crazy contests. SlotsMagic has your favorite 3D slots, video slots, multiple progressive jackpots, 1-3 payline classics, 50 payline giants, and multiple sets of reels games presented in a user-friendly and appealing package. The software is powered by SkillonNet, a front-runner in online casino software development and believed to have the top technical expertise in the creation of slots. SkillonNet develops games that push the boundaries such as Vampires Feast, Le Chocolatier, Hot Wheels, Safe Hackers, and Moulin Rouge. SkillonNet delivers seamless game playing, awesome and precise sound effects, advanced and detailed graphics. Like their upcoming Marvel’s the Adventure, SkillonNet has developed Pixar-like superhero adventures, quality movie storylines and original creations giving SlotsMagic wide audience appeal on a user-friendly website. Home to some of the best slots ever created you will be captivated by cutting edge, creative graphics, and high action gaming that puts you dead center of adventure games like Jurassic World™ and Game of Thrones. 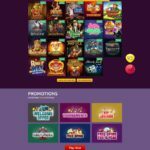 In addition to SkillonNet, SlotsMagic surpasses other online slot casinos with fast-moving, new games from Amaya, Aristocrat, Bally, Barcrest, Cryptologic, Evolution Gaming, GVG, Merkur, Microgaming, NetEnt, NextGen Gaming, and WMS who brings movie favorites like Star Trek, Wizard of Oz, Bruce Lee, Spartacus and Zeus. Check out Millionaire Genie, Good and Evil and Superman that represent unbelievable payouts complemented by incredible graphics and animations. SlotsMagic’s premium casino also offers different and unusual ‘Weird Names’ slots that are both fun and rewarding. For instance, Bar Bar Black Sheep, Win Sum Dim Sum, Break da Bank Again. Have you ever had a chance to ‘Win an Amazing Trip to Dubai’? You could have if you had registered to play in SlotsMagic’s exclusive Roulette Tournament Race. If you want a change, choose from a selection of card and table games. Blackjack, Baccarat, Roulette, Pai Gow Poker, Caribbean Poker, Casino Hold’em, Punto Banco, and others are found on SlotsMagic. Access the Live Casino and enjoy the realistic feel of sitting at the tables. This is the place to experience the thrills of ‘live’ Blackjack, Baccarat and Roulette. Your game is played using a webcam, with action controlled by a dealer. Fans of Video Poker have multiple choices for poker games, including an unbelievable option to play 25 hands at the same time. You can count on SlotsMagic to invent new and exciting features to increase your enjoyment of online slots. For instance, one new feature may be the best in the world while another is almost unbelievable. Well, believe this, ‘real cash’ free spins. There’s no wagering requirements and a cash-out anytime option, including the same day as your winnings. Another incredible new feature is a reduced bonus wager. Now only 25x the bonus amount, this exciting rock bottom bonus wager could be the lowest in the world! A leader in online slots, SlotsMagic gives players improved usability and enhanced entertainment. Enrich your play with the newest features and experience why players mark this as a preferred, highly recommended and loved casino. Support is available 24/7 all year round. Use online chat, e-mail, or call by phone. Additional help can be found in the FAQs section. SlotsMagic has multilingual support in 22 languages. Deposit using a major credit or debit card. Or, deposit with the online e-wallets of Paypal, Trustly, Skrill and a dozen others.